← Short-sleeve Charlie in action! 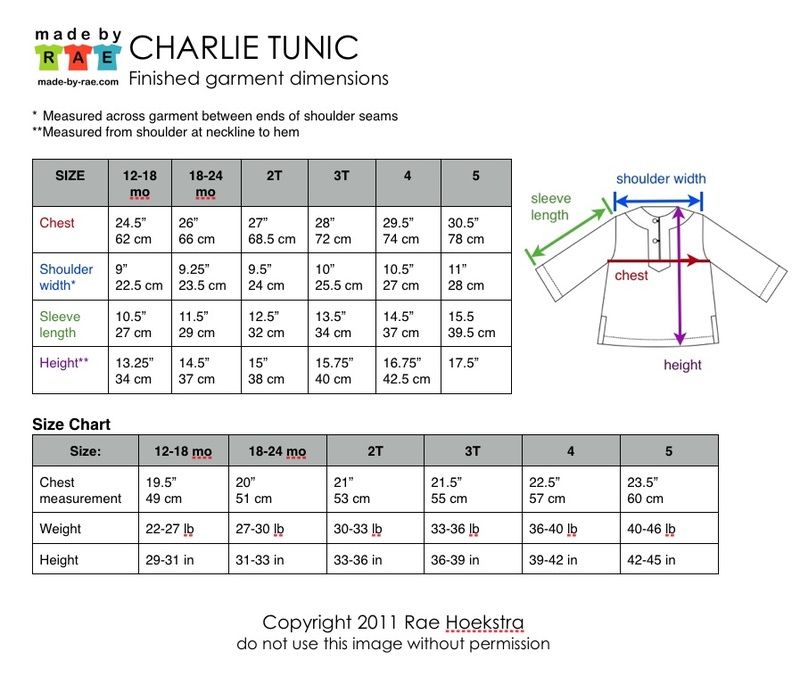 The Charlie Tunic Sewing Pattern is a digital PDF sewing pattern that you purchase, download, and print at home. 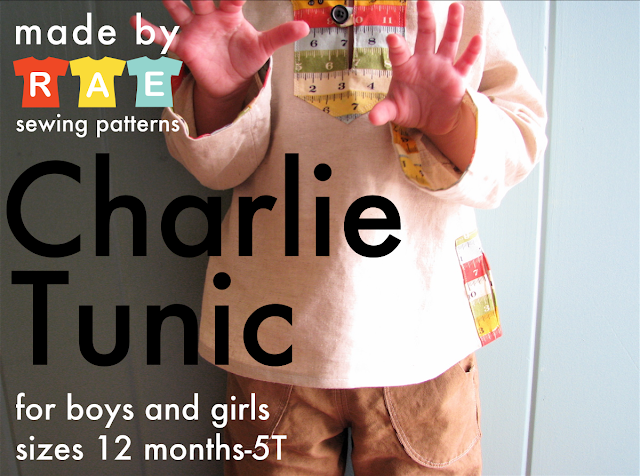 The sewing pattern includes detailed step by step instructions, color photographs and full-sized pattern pieces for SIX sizes (12 months – 5T) for babies and children. Seam allowances are included on all pattern pieces. Instructions and cutting lines for short sleeves are also included. The digital PDF including pattern pieces and instructions will be sent to your PayPal email address (please do not request that we forward to a different address. Thanks!) via instant download link as soon as payment is received. 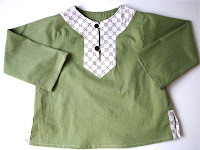 This tunic is an intermediate or “advanced beginner” project. I would recommend this project to someone who had some experience sewing simple garments before. Clear instructions for all of these techniques are given (they are not prerequisite skills), so an advanced beginner who has confidence could tackle this. Appropriate for an intermediate sewist who has some experience with various machine-sewn projects before. I am always happy to assist you by answering questions via email (see pattern for email link) if you should run across anything that is giving you trouble! Interfacing for facings is not recommended unless you are using very lightweight materials such as gauzes or or other sheer fabrics. *Recommended fabrics: linen/tencel blends (shown in picture above), shirtings, or other lightweight cotton or linen materials are recommended. The more drape your fabric has, the more movement the tunic will have when worn, so quilting cotton may make this a little stiff, but some of the lighter-weight quilting cottons will work fine! And I can’t wait to show you how I’m making this pattern for girls!!! Special thanks to my testers: Emily, Jess and Sabra for helping me test the pattern and for all of your amazing and helpful feedback! 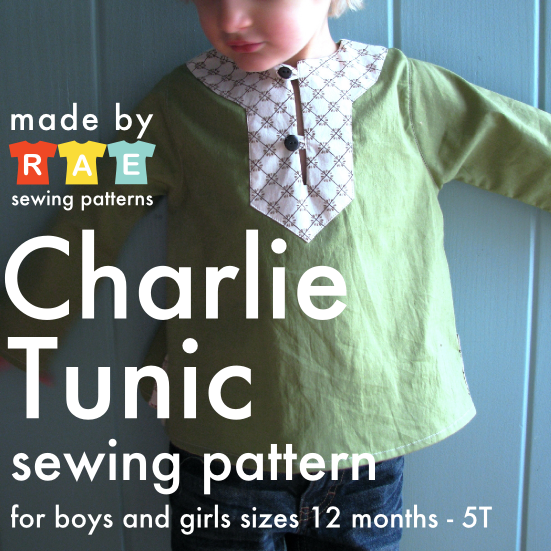 Share your photos: I can’t wait to see all of the awesome Charlie tunics on your little ones! Please add your pictures to the Rae Made Me Do It photo pool so we can all enjoy them. Thanks for your patience! As usual, please be patient with me as there are bound to be glitches at first. Please email me (rae DOT made AT gmail DOT com) if there are any issues and we’ll get them worked out! Yay!!! The Charlie is up! Love it. I've been waiting for this! Thank you! I'm so excied for this pattern! Thank you so much for creating it! Yay, thought I'd check for it one last time and it's here! Thanks so much! I cannot wait to make this – have been waiting. So excited!! thank you! So I love the idea that you are doing one for girls, too, but please, oh pretty please, how about a mommy sized one? I love this pattern! What a great piece for any wardrobe. Love, love, loving the Charlie tunic! Please bigger sizes???? Yippeee!!!! Love it and can't wait to try this one out too. You are fabulous dahling…fabulous! This pattern release truly made my day, no, maybe my entire week! It's the most exciting thing I've seen for boys in a very long time. i love it – and i, too, would like a bigger one…. one for me and for my 10 yo! 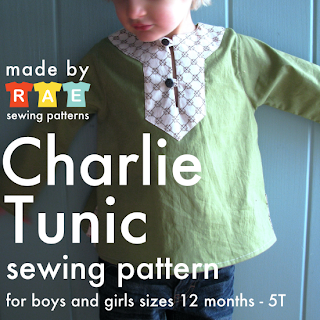 I REALLY wish that I could have the Charlie Tunic in adult and dress form. I think it is so cute and want one just for me. Thank you! 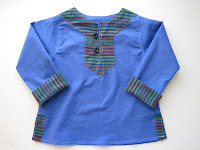 Just what I needed for a simple, cute top for my little girl as we get ready for a trip to cooler climes! I lurve the Charlie Dress! Will you post a pattern? My munchkin definitely needs a Charlie Dress before cold weather comes. 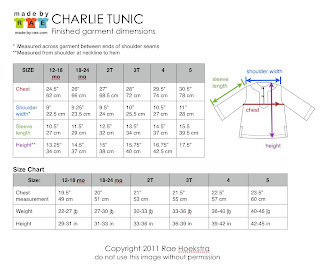 When will you have the rights to sell for the Charlie tunic? Please consider making larger sizes of this! It is such a great, unisex top. 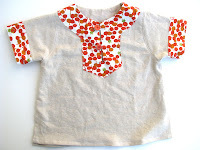 I saw you made a pajama top from this pattern in lighter weight fabric. Do you think it would work with flannel for winter pjs (in Aus)? Hi Tina — that would be perfect!